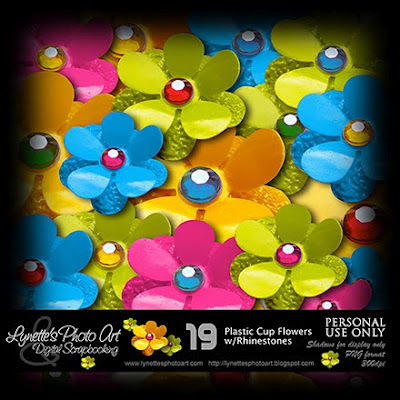 These springy flowers were made by up-scaling plastic cups and adding rhinestones. There are 43 different flowers in this kit, sure to brighten any scrap page. Click the image to enlarge. Click the Buy It Now Button below the image to purchase from my PayPal store for only $2.99. Today I'm giving you one of the flowers to try out, then come back and snag the entire bouquet!